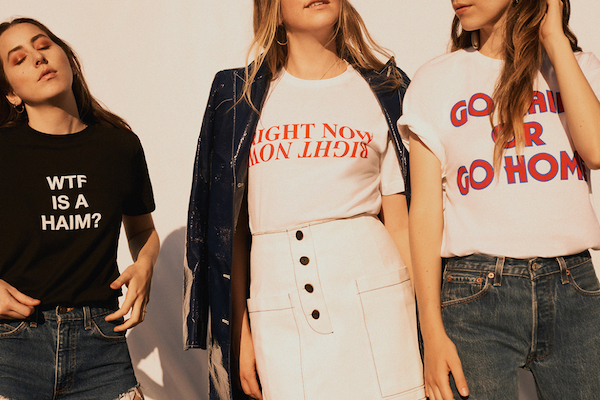 Shop now: Haim x Urban Outfitters. 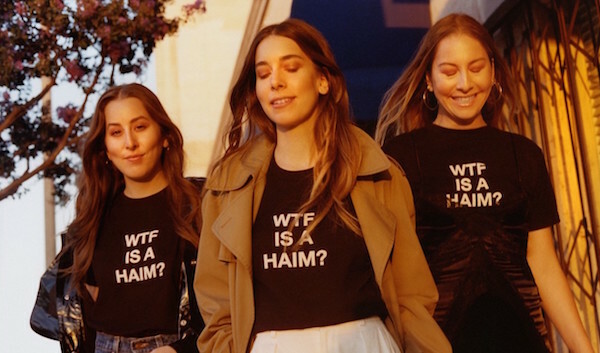 Haim have teamed up with Urban Outfitters to offer up a 'HAIM on HAIM' capsule collection of t-shirts, which was launched this past weekend at UO’s Concept Store in LA, Space 15 Twenty, and included a live performance and meet & greet with fans. Click here to shop the collection now. MusicWatch: Haim’s 2017 Radio 1 Big Weekend set. 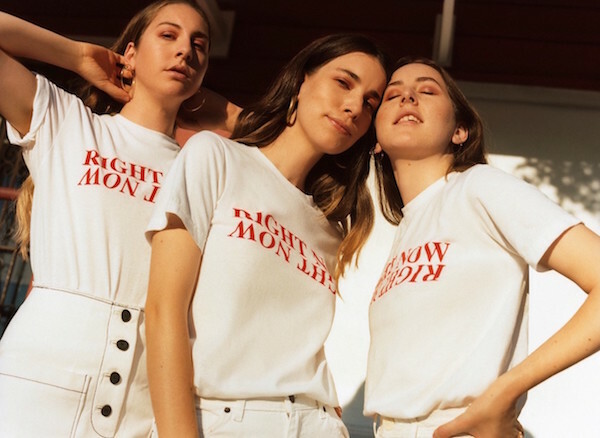 MusicWatch: Haim cover Shania Twain’s 'That Don't Impress Me Much'. 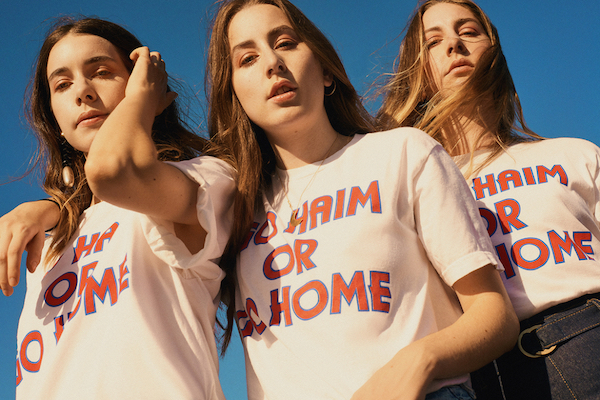 MusicInterview: Haim [and 'Days Are Gone'] time with Alana, Danielle & Este. MusicHaim & Kid Cudi performing 'Red Eye' together live for the very first time. 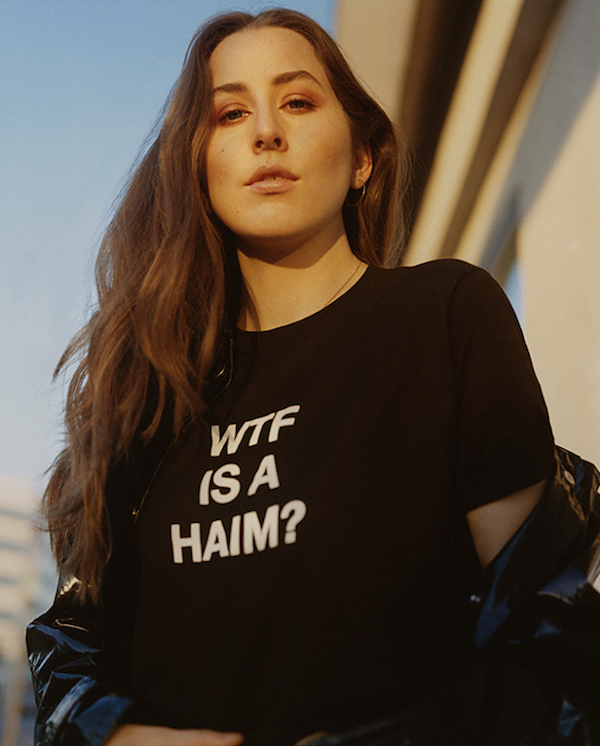 MusicHaim tease new music coming... in less than 3 days!